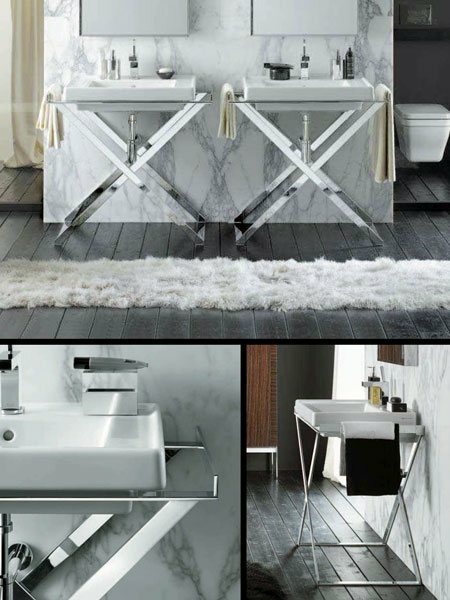 Luxury washstand with ceramic basin is an original design from the Art Deco period. The high quality stand is manufactured in solid brass and has a polished chrome finish. The wash basin can be supplied with 1 or 3 tap holes. * Choice of 1 or 3 tap holes.